Turn on the Chrome device and follow the onscreen instructions until you see the sign on screen. Don’t sign in yet. or the username and password for an existing Google Apps user on your account that has eligibility to enroll. 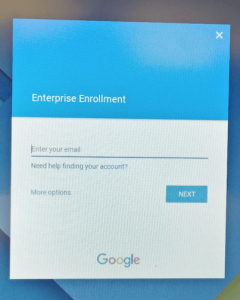 Click Enroll device. 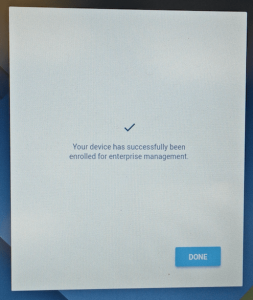 You’ll receive a confirmation message that the device has been successfully enrolled. Previous story How to factory reset, reformat or wipe data from chromebook, chromebox or chrome devices?